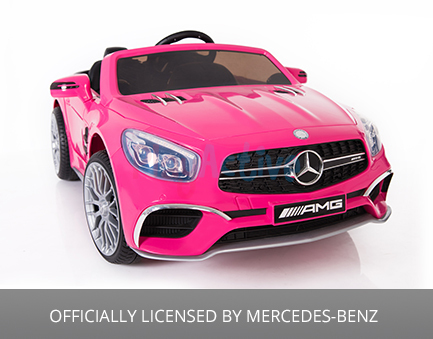 Introducing the officially licensed Mercedes-Benz SL65. 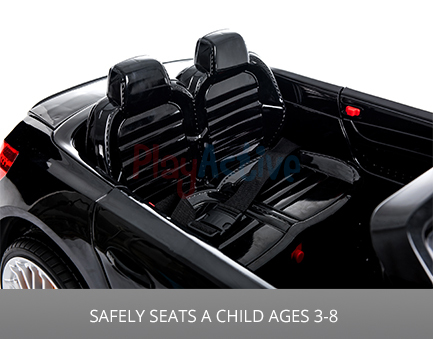 This well-constructed, amazing ride on car has a range of brilliant features. PLEASE NOTE: Images featured are a guide. 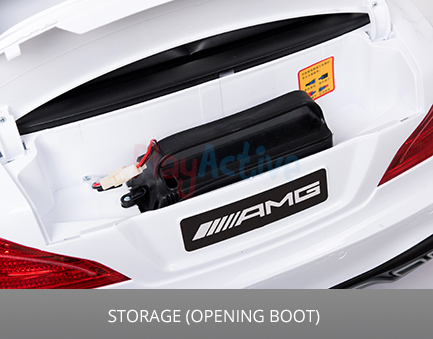 In some cases stickers or certain panels may differ from the ones shown. 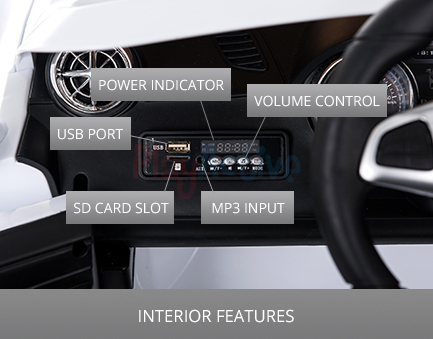 RC vehicles that operate on the 2.4G frequency are easier to use and offer a better experience to control compared to other vehicles that use the older frequency technology. 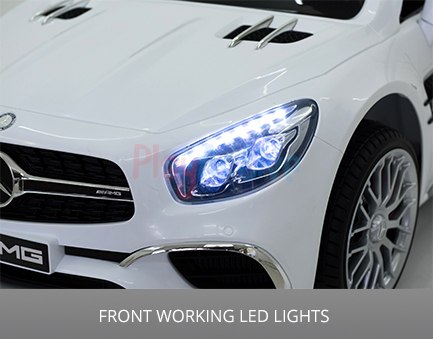 Introducing the officially licensed Mercedes-Benz SL65. 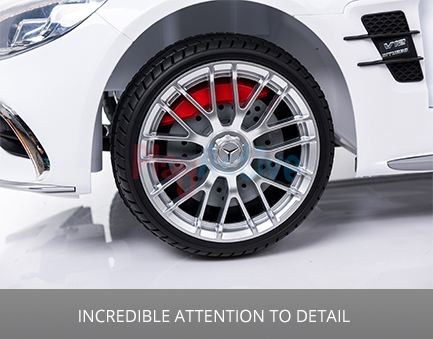 This well-constructed, amazing ride on car has a range of brilliant features. 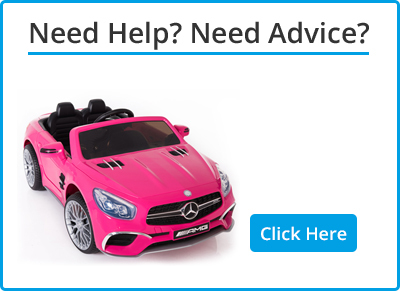 Our model comes equipped with a Key Start Ignition as well as front + rear working LED lights and Opening Doors so your child can enjoy an authentic driving experience. What's more this 12V electric car has three forward speeds (high / medium / low) and a reverse gear for any wrong turns. 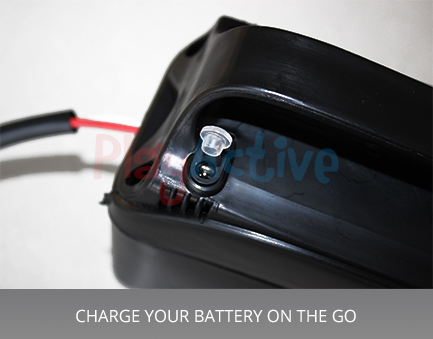 Now also equipped with a battery charge port so you can remove the battery and charge it on the go! Please click here if you wish to purchase. 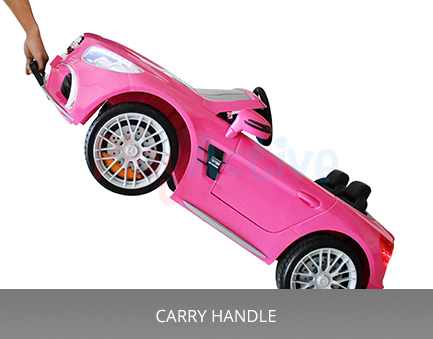 This luxury ride on comes in 4 stunning colours: Black, Pink, Red and White. 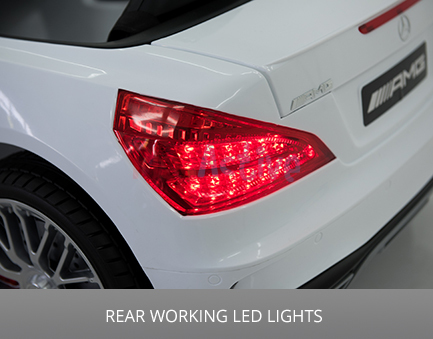 When it comes to safety this car has all the necessary features. 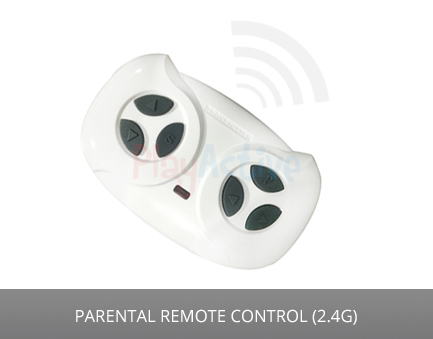 As well as being fitted with a secure safety belt, parents will be reassured that they have the option to take over the controls with the parental remote feature. And finally no ride on car would be complete without its sound features. In addition to the horn and music sound effects this ride on has an Mp3 input, USB Port and SD Card Slot so your child will never be without their favourite music.